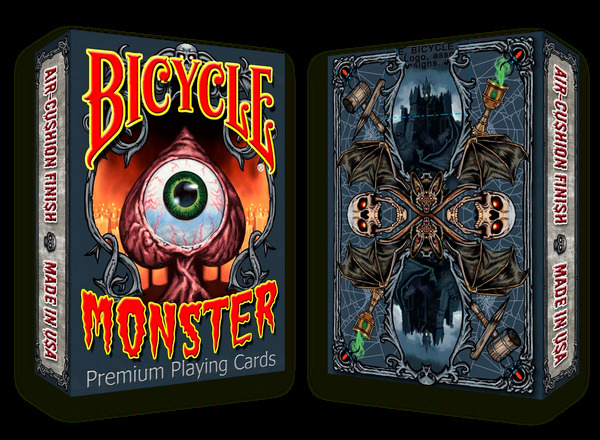 The Monster deck has rightly been described as "a new spooky deck of your favorite classic monsters in a fun cartoon style." 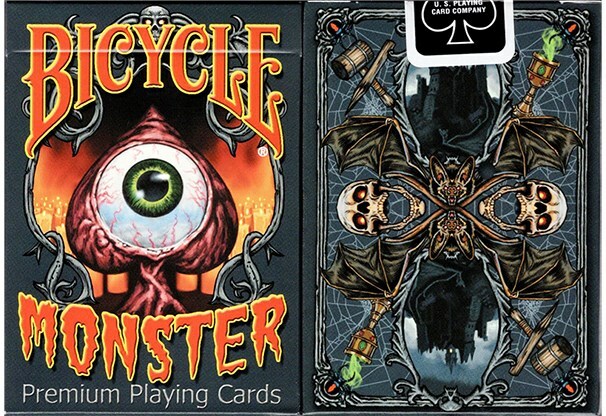 This deck was designed by Arizona illustrator and artist Joe Ruiz, who was trained at the San Francisco Art Institute of California, and has been involved with artwork for projects that include children's books, logos, medical manuals, product packaging, humorous literature, and textbook art. 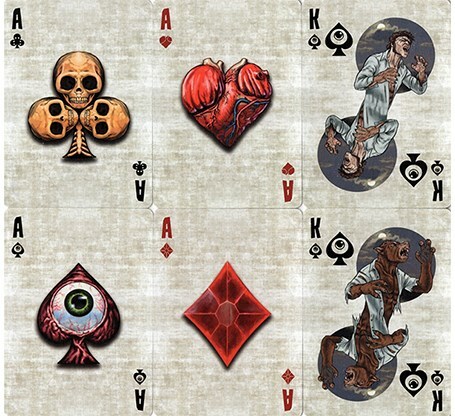 This is his first playing card design, and if this debut is any indication, he has real promise! 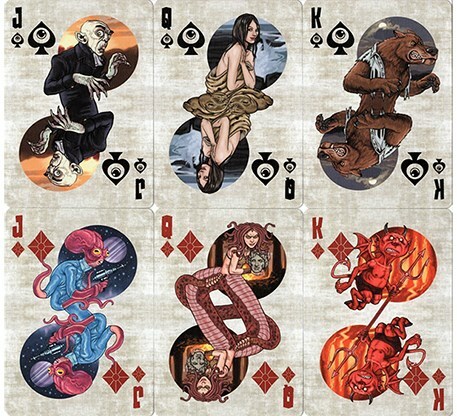 Each suit represents different monster types, such as Shape Shifters (Spades), Water Dwellers (Clubs), Undead (Hearts), and Not of This World (Diamonds). 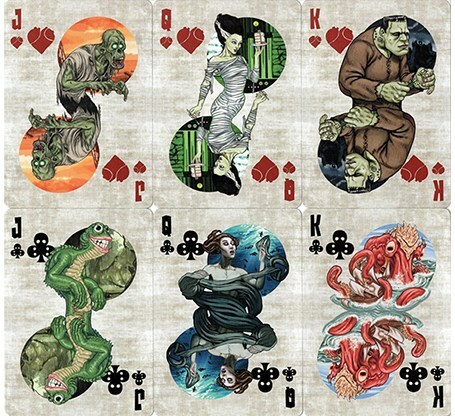 Each court card depicts a different classic monster, such as Werewolf, Vampire, Kraken, Frankenstein's Monster, Zombie, and more.